The paint industry, often called the "paint and coatings industry," is comprised of manufacturers, wholesalers and retailers who sell paints, stains and other coatings. The term usually extends to those who manufacture or sell related items, often called "sundries," such as brushes, rollers and drop clothes. Those who provide painting services may also be said to be part of the paint industry. Products manufactured and sold within the paint industry include items involved in painting homes, buildings and structures. Products intended for use on vehicles, with the exception of marine varnishes and stains, are usually classified as a specific sub-industry, namely "automotive coatings." Artist and craft paints are generally classified as part of the arts and crafts industry. Coatings and chemicals are the cornerstones of the paint industry. These include all types of paints, such as interior, exterior, enamel, latex and spray paints. This classification also includes other types of finishes, such as varnish, polyurethane and both water- and oil-based stains. It further includes chemicals commonly associated with paints, such as mineral spirits. 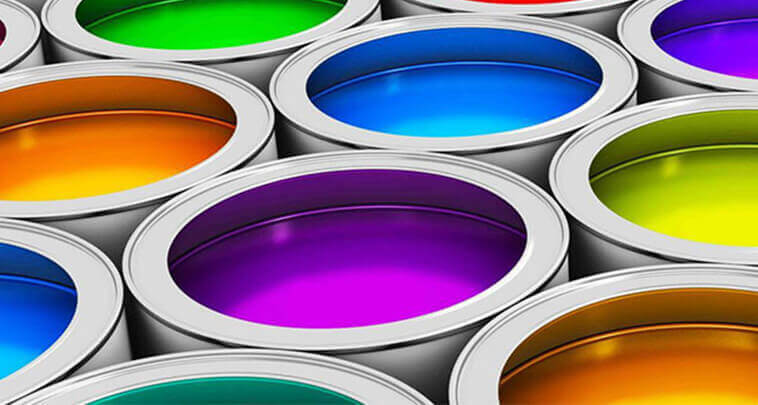 Within the coatings area of the paint industry are manufacturers of the products and equipment used in the manufacturing of paint and the mixing of custom colors. This includes colorants, automated mixers and the electronic machines that dispense the colorants. It may also include items such as cans and labels. In addition to the actual coatings, the paint industry includes manufacturers and distributors of sundries needed to apply paint. This category includes items such as brushes and rollers in a wide array of sizes, types and densities, but it also includes such items as painter's tape, automatic sprayers, shoe covers and more. Paint manufacturers sometimes produce or brand their own line of such tools. Other people and entities that are commonly considered to be part of the paint industry include professional painters, associations and publications. A number of industry-specific associations and publications exist around the world and may be regional, national or international. Painting contractors are professionals who paint houses and other buildings and structures, and are considered part of this industry. Artists who work in paint mediums, on the other hand, are considered fine artists and do not fall into this category.